You must be 21 to consume alcoholic beverages. When doing so, please drink responsibly. No drinking and driving, and no drinking and texting! I’ve been experimenting lately with what I think is a seriously tasty sparkling holiday drink that is perfect for holiday parties, Christmas Eve, and/or New Year’s Eve. 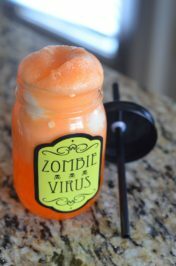 I wanted a holiday cocktail that you could make a bit in advance and let the flavors infuse while chilling. Serve it up on a holiday platter with some holiday decorations and don’t forget to push those guests under the mistletoe. 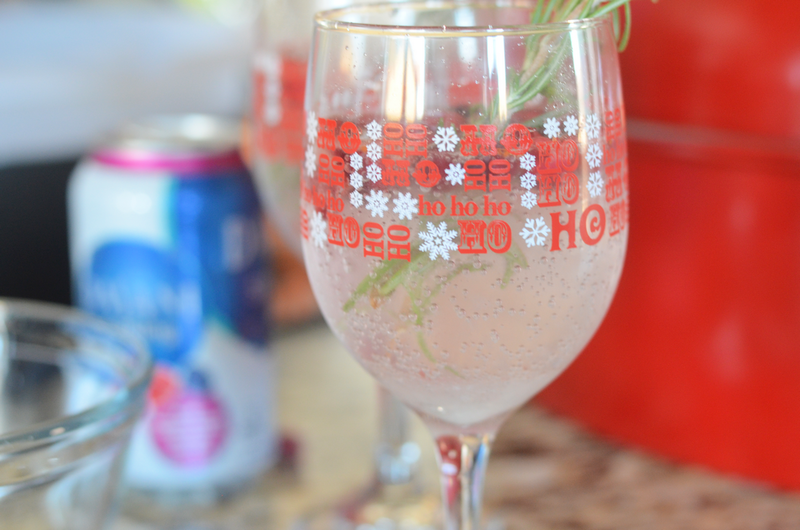 This Holly Berry Spritzer does just the trick to bring on the holiday cheer! This Holly Berry Spritzer comes together quite easily. 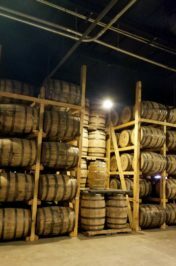 My inspiration came from another drink I usually make with lemons, silver rum or coconut rum, and sugar. Though it’s not that easy to see you smash the cranberries a little with sugar to help release a bit of the flavor into the spritzer. The DASANI mixed berry sparkling water adds the fizz to make it twinkle in your mouth. 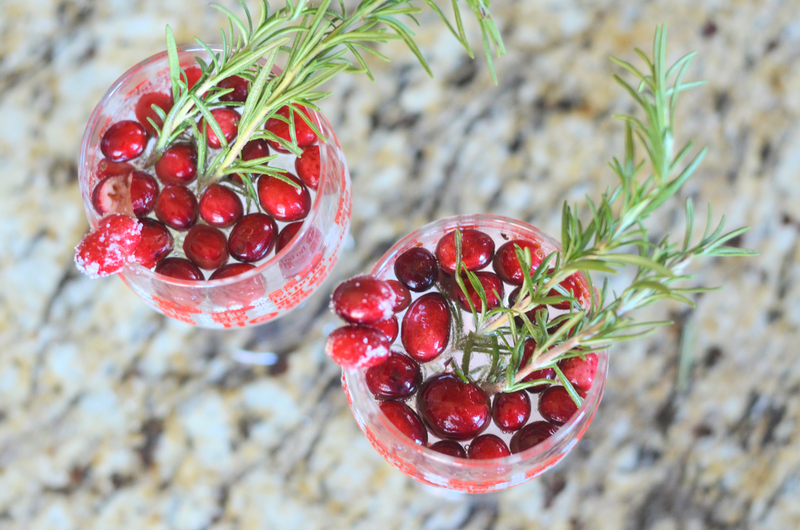 The rosemary brings the flavor of the season and pairs well with the cranberries. 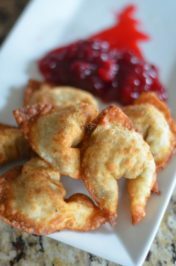 These are just so fun to pull out of the fridge and place on a tray to serve up. 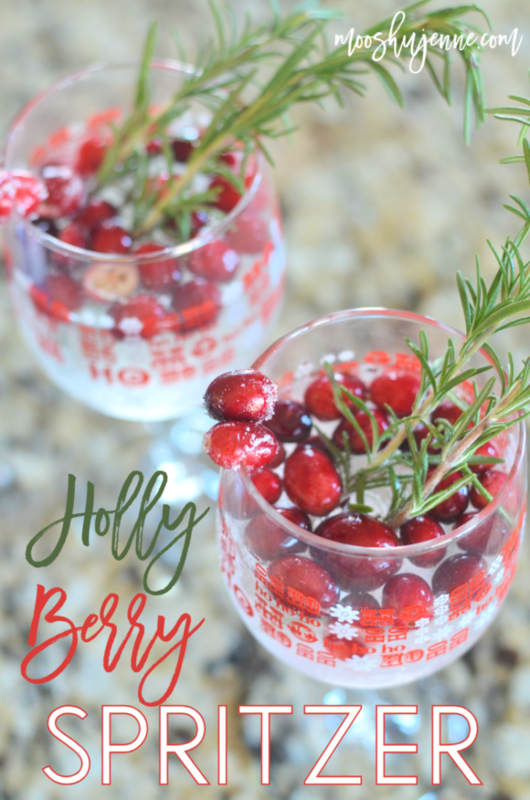 Your guests will wow at this Holly Berry Spritzer. Most aren’t used to herbs unless it’s a Bloody Mary or a Mojito which have grown widely popular. This spritzer is also very versatile which means you can use rum, coconut rum, vodka, or gin in to. Here I used silver rum. 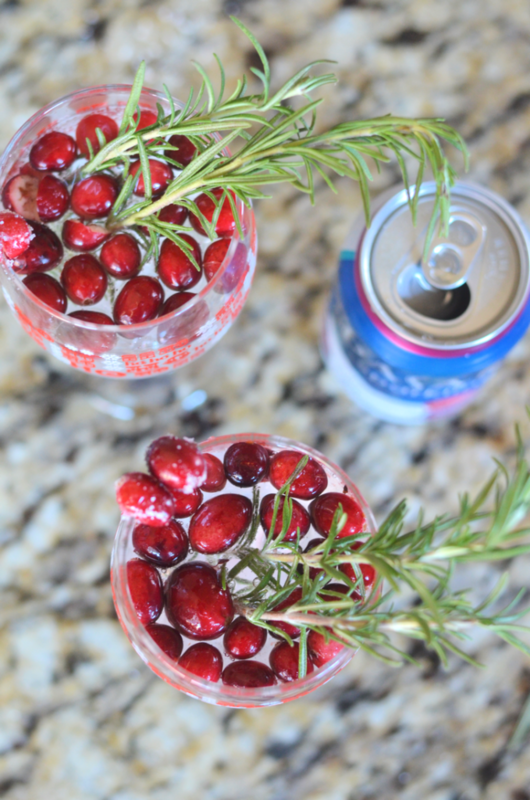 It simple without a strong taste allowing the cranberries and rosemary to flavor the spritzer. DASANI Sparkling Water is available at Walmart and perfect for sparkling the holidays. Sparkling Flavors include: Lime, Berry, Lemon, Black Cherry in 12 pack of 12 oz cans. 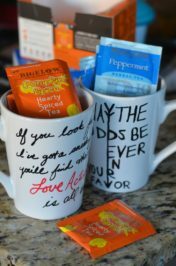 With zero calories, unsweetened, zero artificial colors, and it’s caffeine-free its sure to satisfy your guests. Oh and would you like more cocktail and mocktail recipes? Visit this Pinterest board for more. Don’t forget to put up that mistletoe and serve up these Holly Berry Spritzer! Spritzer made with cranberries, silver rum, mixed berry DASANI sparkling water, and sugar. In a bowl, place cranberries and top with sugar. Mash cranberries. Place two spoonfuls of cranberries and sugar into the glasses. Top cranberries with half mini bottle of rum. Half into each glass. Top with half can of DASANI berry into each glass. Place rosemary sprigs into the glasses. Refrigerate until ready to serve. The longer you chill the less bubbly it will be. Recommend 30 minutes to an hour tops. Jenne, I do like a drink with a pretty garnish! This makes me wish I still had my rosemary bush. Had to take it out a few years ago because it was The Rosemary Bush That Devoured Cleveland! This thing was indestructible and just kept getting bigger and bigger. I knew if I didn’t take it out when I did, we’d be very sorry very soon. Oh fresh rosemary near a window makes the house smell amazing. Wish I had a green thumb.